We’re still knee-deep (or maybe even hip-deep by now?) in our series on marketing and selling MM romances. Today, we’ll talk about creating a buzz around your book, but make sure to read the previous posts in this series first on the core principles of selling MM romances, cold sales, rule of seven, and networking with other authors. Traditional publishers historically rely heavily on creating a buzz around to-be-released books. In some ways, it’s a little easier for those authors and publishers, because they usually have months and months to organize this, and because they don’t release as often, they can devote a lot of time to market one book. In self-publishing, we don’t have that luxury. Not all self publishers release as often as I do, which is fine, by the way. To each his own, and my way is not the only way at all. Hell, everyone has got to figure out what works for them, right? But usually, they will release more often than traditionally published authors, and they’ll have to do all the marketing themselves. That means that creating a buzz around your book will fall on your shoulders. Now, let’s talk about what we mean by “buzz” first. Ideally, this means that your targeted reader audience has encountered your book several times before the release date, and all these times have built up a deep wish to read that book as soon as it releases. Buzz, then, means a favorable awareness amongst readers resulting in a desire to buy/borrow and read the book. My goal is to make readers feel like they have to read my book, like they’ll miss out if they won’t. To get there, I need to get that message across several times. Remember what we said about the Rule of Seven? That applies in full force here. If you want readers to encounter your book several times and remember it and want it enough to buy, they’ll need on average seven times. That means this repeated promotional effort even before release is crucial. By the way, I’m assuming here you’re working with a well-written book that’s clearly positioned in the genre, with a solid cover that fits the genre, professionally edited, and with a blurb that sells. If not, work on that first. 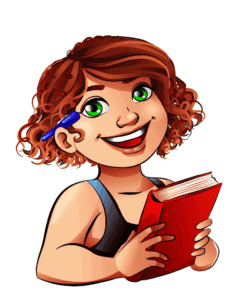 Buzz, then, means to allow your readers to encounter your book in various ways several times. Mind the “various ways” here. If you repeat the exact same message seven times or more, readers won’t get enthusiastic. They’ll get annoyed. So change it up! The options are endless, but…remember this: you have to sell the book. 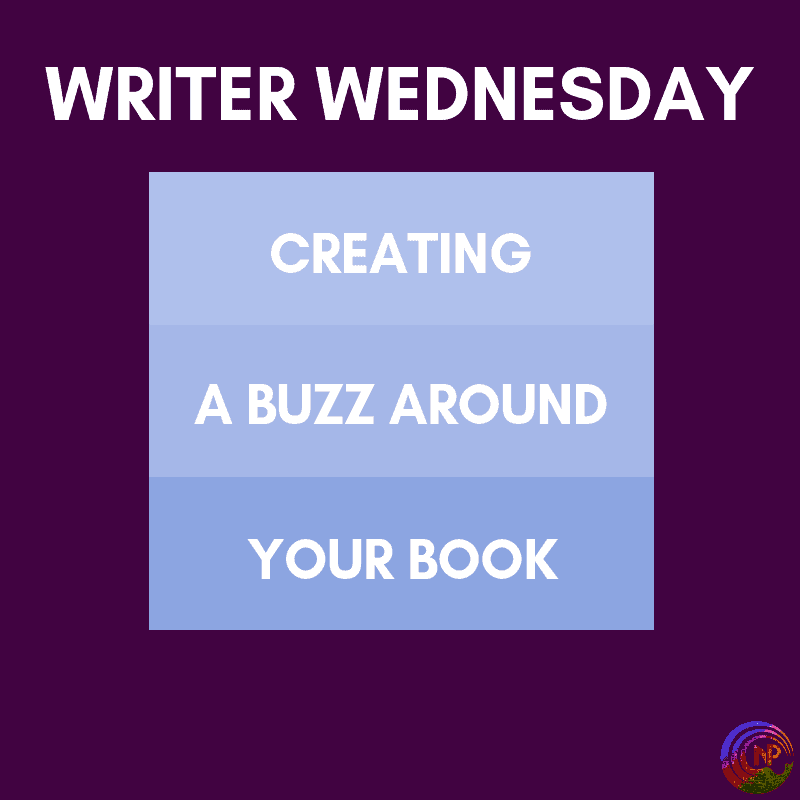 Creating a buzz for your book means more than copy-pasting. Don’t post the same lines everywhere, don’t just post the blurb and be done with it. Create a fresh post every single time and try various angles. With every post you create, ask yourself if reading that would make you want to buy and read the book. If your book combines several tropes, highlight one at a time. Do a post from one characters POV, then one from the other. Always ask yourself: why should readers read this book? What does it offer them? And don’t forget to pitch to the right audience. If your book is spicy, don’t pitch it to people who like sweet romances. Also, be personal. Keep that relational marketing in the back of your mind at all times. It’s not just the book readers are interested in. It’s just as much about you, the author. That’s also true for the characters of your book, by the way. My PA and designer Vicki excels at making visual teasers, because she finds photo models we can use to represent our characters. That helps sell the teasers and thus the books, because it makes the characters feel real and personal, like readers know them. Of course, you can keep promoting your book as long as you want to. Promoting your backlist is super important, but we’ll talk more about that some other time. I’ve mentioned the word author platform before, but platform really matters in creating a buzz around your book. The more friends you have on Facebook, the more followers on Twitter or Instagram, the bigger your network with fellow authors and readers, the easier it is to create buzz…simply because others will help spread the word. That requires not just a social media presence but an active social media presence. If you only pop up on Twitter when you have a release, it’s not gonna do you much good. It can’t hurt, but you’ll likely see little return. And that’s true for every channel you have, whether it’s your newsletter, your FB, your website, or other social media. Be present consistently, not just when you have a book to sell. It also means helping other authors when they have exciting news to share. If you promote them, the chances are bigger they’ll promote you when your time comes. Make it a habit to help others succeed. It won’t just bring you good karma; it will help lift your boat as well. We rise by lifting others, that I believe wholeheartedly. If I didn’t, I wouldn’t be writing this whole series because it’s clearly not for my benefit, haha. Wow, these posts just keep getting long, huh? Well, this was another brain dump, so hopefully, it’s useful. Let me know in the comments!